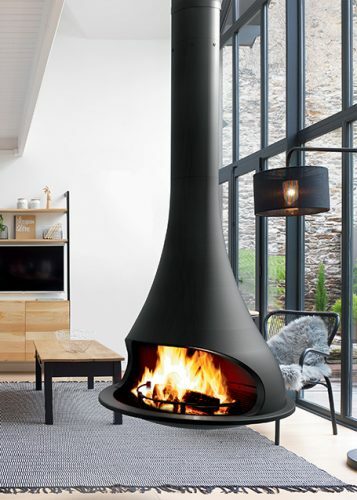 With a spirit that is playful yet polished, the handmade Bordelet Zelia 908 suspended fireplace is guaranteed to add just the right amount of dramatic ambiance in any contemporary space as it hangs dramatically from the ceiling. Made in the South of France, the Bordelet Zelia 908 suspended fireplace is hand shaped and spun, giving excellence to those who acquire an artisan engineered fireplace with a quality finish. 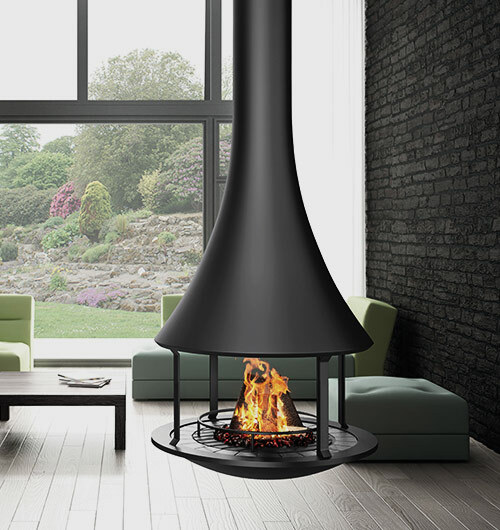 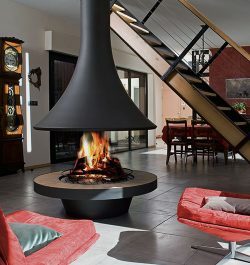 This new generation hanging wood fireplace design will fill your home with enjoyment from all angles with its 360 degree viewing area and elegant tear drop shape.